Image Junction Sdn Bhd are the authorised reseller of Avery Graphics digital films since Year 2005. (International Colour Consortium) and backed by Our ICS (Intergrated Component System) performance Guarantee. No matter what Your application, We have the right material, adhesive performance and durabilityto meet Your needs. 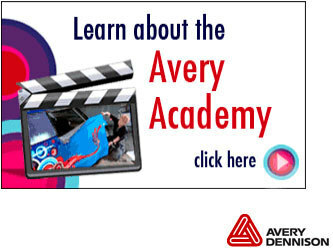 Welcome to Avery Dennison Graphics Academy, the home of innovation, creative flair and dependable results. Here you will find free 'how-to' videos, background theory modules and useful information on legal regulation. Register now and start to expand your own creative and technical skills across printing, films, application, wrapping and more.